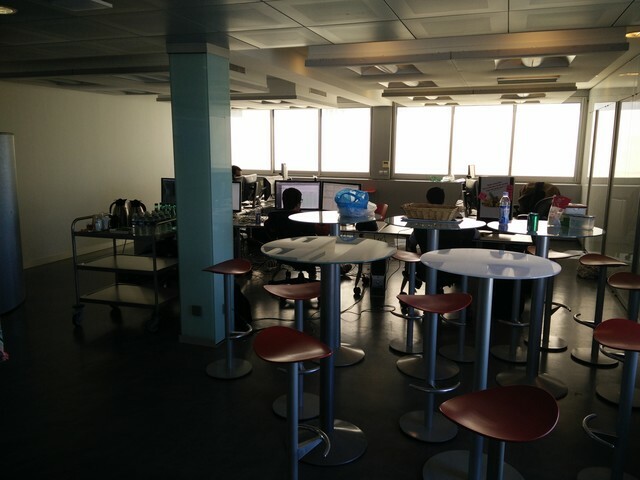 Rome wasn’t built in a day, neither will be your Lego Office … This week is Devoxx in Paris, for the occasion, we decided to stream a Lego office experiment that my team did. 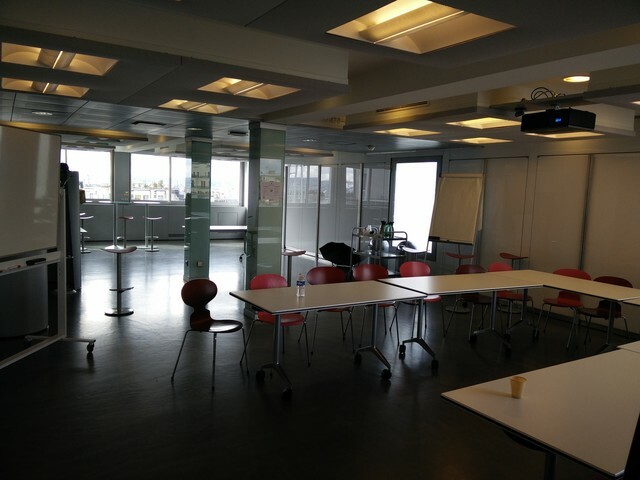 The last floor of our building in Paris has a nice (really) open space area with rolling tables that we could use. 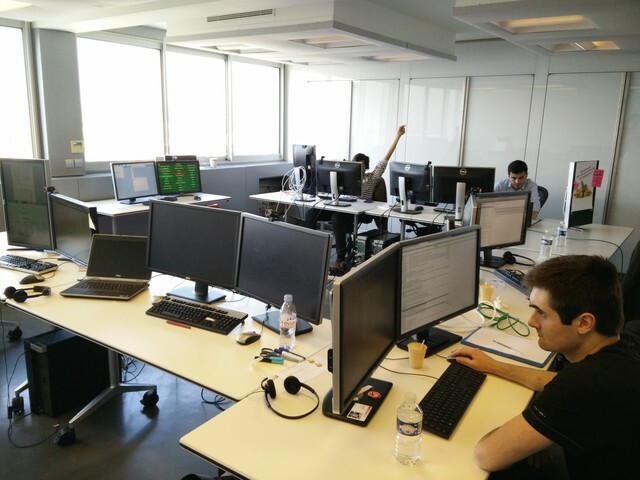 We moved all the team there for one week. 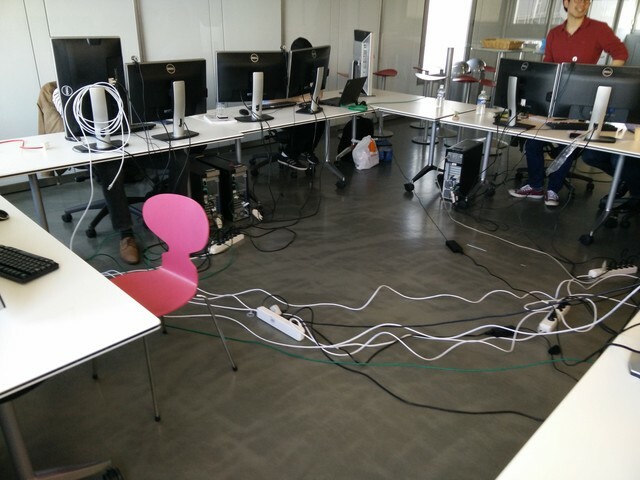 As we don’t have laptops with Wifi, we simply asked for enough power and network plugs. 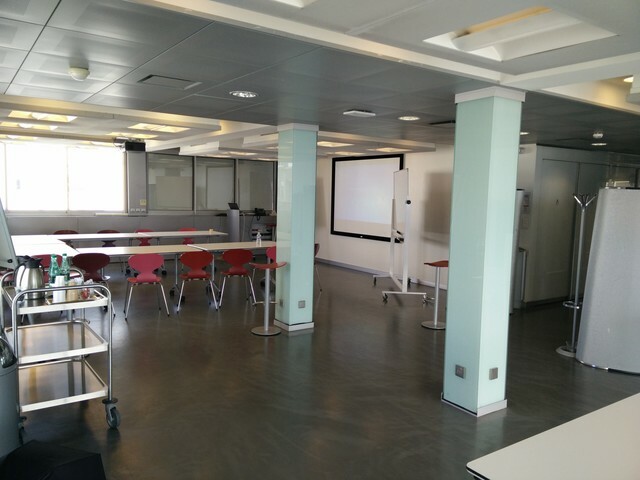 The place is large enough to have dedicated rest and meeting space. 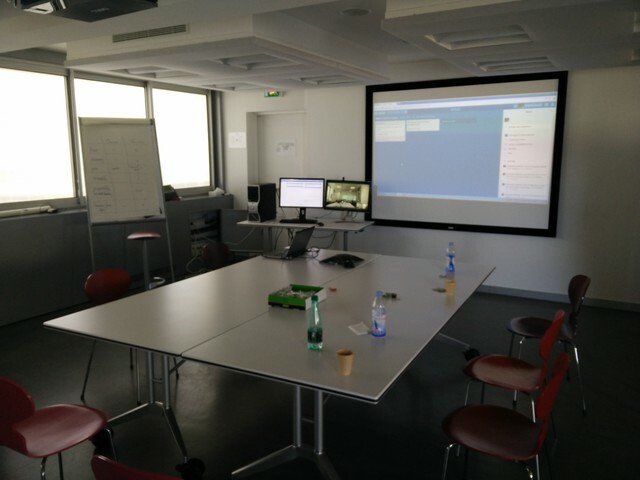 We managed to create a visio setup using our build monitor. We even had a remote lunch once, which we should repeat more often ! Obviously, this was a quick experiment, nothing like a fully architectured Lego workspace, still it helped us to discover issues and blocking points. It turns out that cables are an issue ! Thinking of it … could different remote offices such as your home, or a co-working space be considered as Lego blocks ?